Start off your visit on the 7th (Thu): admire nature's wide array of creatures at Melbourne Zoo, then admire the natural beauty at Royal Botanic Gardens, and then admire the natural beauty at Fitzroy Gardens. Keep things going the next day: enjoy the sand and surf at Half Moon Bay, then enjoy breathtaking views from Eureka Skydeck 88, and then soar above the sights with a balloon tour. To see photos, maps, reviews, and tourist information, you can read our Melbourne trip planner. Muscat, Oman to Melbourne is an approximately 16.5-hour flight. You can also do a combination of bus and flight. Traveling from Muscat to Melbourne, you'll lose 6 hours due to the time zone difference. Traveling from Muscat in March, things will get little chillier in Melbourne: highs are around 30°C and lows about 15°C. Cap off your sightseeing on the 8th (Fri) early enough to travel to Canberra. 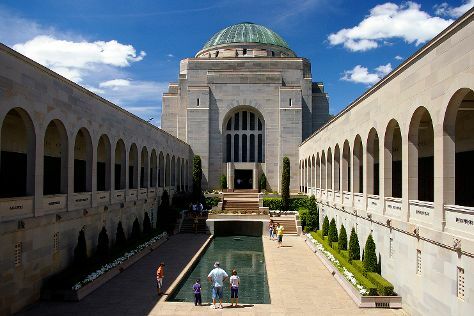 On the 9th (Sat), get a sense of history and politics at Parliament of Australia, get engrossed in the history at Australian War Memorial, then tour the pleasant surroundings at ANZAC Parade Walk, and finally pause for some photo ops at Rats of Tobruk Memorial. To find more things to do, maps, other places to visit, and tourist information, read Canberra day trip tool . Fly from Melbourne to Canberra in 3.5 hours. Alternatively, you can drive; or take a bus. In March, daily temperatures in Canberra can reach 30°C, while at night they dip to 13°C. Cap off your sightseeing on the 9th (Sat) early enough to go by car to Sydney. 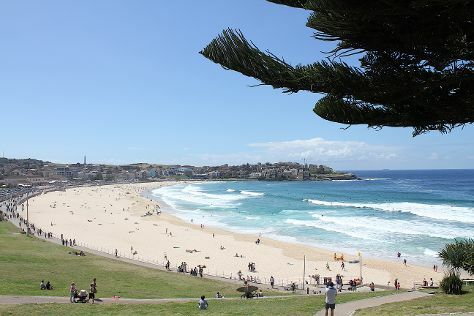 Step out of the city life by going to Bondi Beach and Shelly Beach. You'll enjoy a bit of beach vacationing at Manly Beach and Camp Cove. There's much more to do: catch a live performance at Sydney Opera House, admire the natural beauty at Royal Botanic Garden Sydney, stroll through Clovelly Beach, and snap pictures at Sydney Harbour Bridge. To find maps, other places to visit, photos, and tourist information, refer to the Sydney trip itinerary maker app . Traveling by car from Canberra to Sydney takes 3.5 hours. Alternatively, you can fly; or take a bus. Traveling from Canberra in March, you can expect nighttime temperatures to be somewhat warmer in Sydney, with lows of 22°C. Finish your sightseeing early on the 12th (Tue) to allow enough time to travel to Cairns. Start off your visit on the 13th (Wed): get a new perspective on things with Boat Tours & Water Sports. Keep things going the next day: identify plant and animal life at Hartley's Crocodile Adventures and then kick back and relax at Palm Cove Beach. To see other places to visit, maps, more things to do, and other tourist information, refer to the Cairns trip planning tool . Fly from Sydney to Cairns in 6 hours. Alternatively, you can drive; or take a train. Plan for a bit warmer temperatures traveling from Sydney in March, with highs in Cairns at 36°C and lows at 27°C. Cap off your sightseeing on the 14th (Thu) early enough to travel back home.